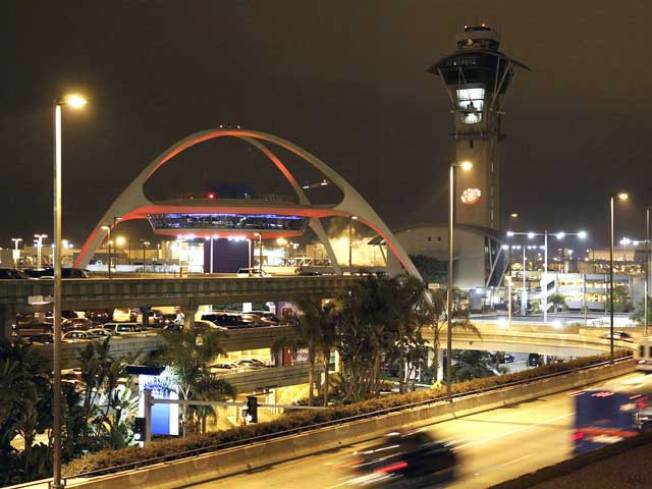 LAX's economy lots will become less economical in November. Starting Nov. 19, travelers who use the lots will pay $2 more per day. The airport's commissioners approved the increase for parking lots B and C.
That means leaving your car in Lot C for a three-day weekend trip to Cabo San Lucas in December will cost $36. Lot B will cost $10 per day. The increase was approved to help pay for costs associated with the lots, such as the free shuttle bus service that takes passengers to and from the parking areas and airport terminals. If the fee increase and hunt for a parking space during the holiday travel season is too much of a hassle, there's always the FlyAway bus service. The service connects LAX to Union Station, Westwood and Van Nuys. Service from Irvine is expected to begin Nov. 16. Free parking will be available at the Irvine Station, 15215 Barranca Parkway, for up to 30 days.